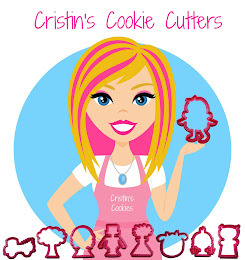 Cristin's Cookies: LOTS of Cookie Cutters For Hubby's Birthday - and Eagle Scout engraved plate from AwardsEtc. 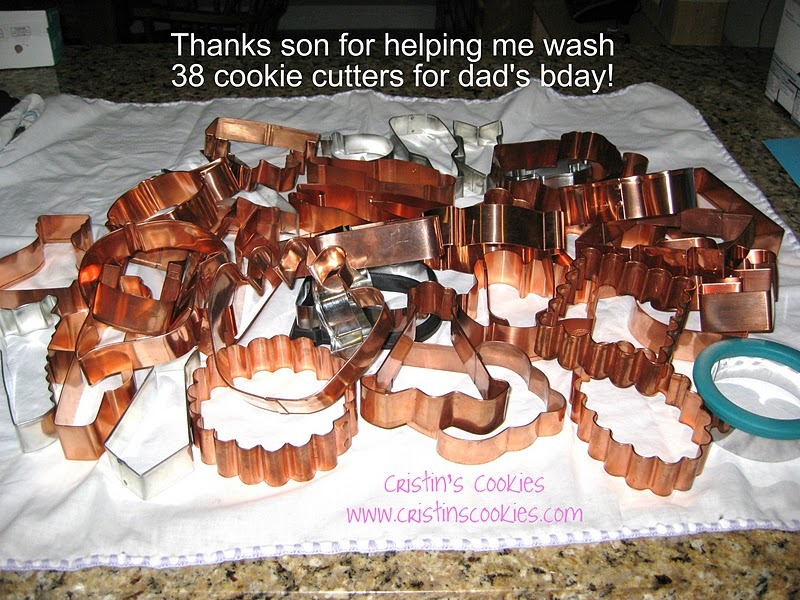 LOTS of Cookie Cutters For Hubby's Birthday - and Eagle Scout engraved plate from AwardsEtc. Hubby's birthday (the big 5-0!) is this weekend and I wanted to make cookies of some of his favorite things. Well it turned out that was 38 cookie cutters of his favorite things! I showed my son what I wanted to do and he said "choose 4 or 5". Stinker... he just didn't want to help wash all the cookie cutters afterward! Well somehow I was blessed with the best boy ever and he very graciously gave me his time last night and helped wash and dry all the cookie cutters. I'm being honest. He really helped graciously. Gotta love that kid! 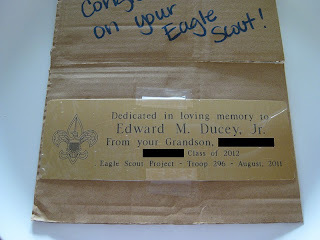 For those that have been asking, his Eagle Scout project is coming along very well. He and his scout troop built 3 benches in a garden on school campus. The next step was to order a brass plate to have the benches dedicated to the memory of my father, his grandfather. We found a great place on Etsy.com called AwardsEtc. run by a sweet gal named Mindy. My son told her what he had in mind and she sent over a proof of what it would look like and she suggested including a Boy Scout emblem. We ordered the engraved brass plate and it arrived almost immediately! It was extremely impressive to work with AwardsEtc. If you ever have a need for awards or engraved plated or whatever the case may be, I HIGHLY suggest AwardsEtc on Etsy. @gardenofedensAww you're so sweet honey! I'm starting to stress that I may not get all the cookies done in time for the party. They are taking forever! I'm loving them, but not sure on the timeline! The plaque for the bench is lovely! Good luck to your son on his Board of Review. I'm sure he'll do just great. 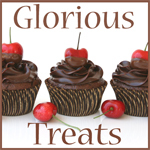 38 different cookies for your husband's birthday!!! He's a lucky man and you must love him to pieces to do such a variety of cookie designs and decorating. Best wishes to him for a lovely birthday celebration and a wonderful year.